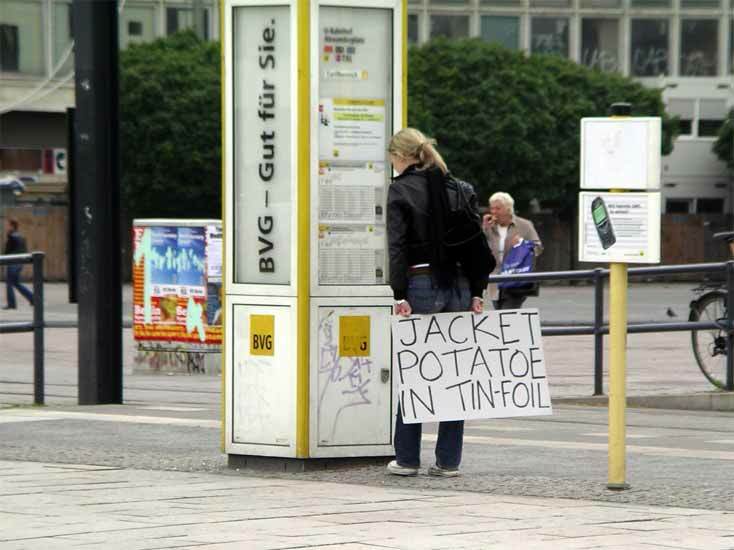 Think of the hustle and bustle of Alexanderplatz - all those passing people, trams, punks, hot dog sellers, lottery callers, buskers and religious preachers. In such a noisy place what would it be like to be able to hear the stories and thoughts of the people around you? In this hub of activity and transport interchange are a plethora of people whose relationship to the place vary anywhere from those who know its history and cultural signifance to the bewildered tourists stumbling upon it for the first time. 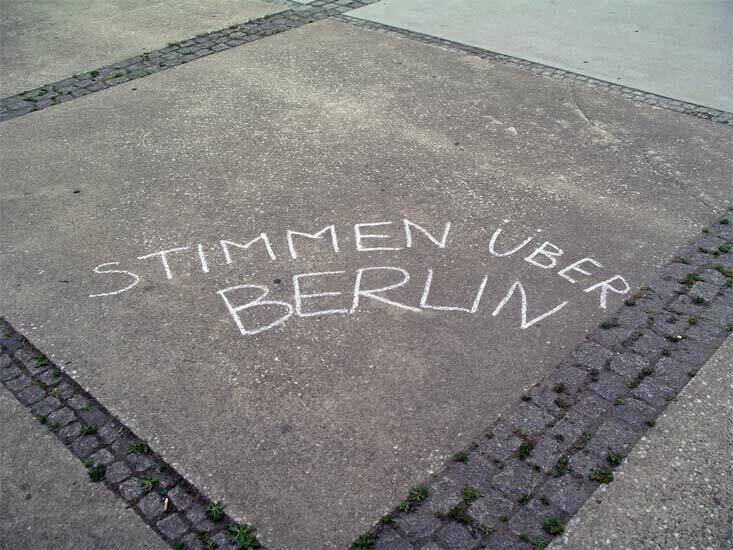 Stimmen über Berlin was the realisation of a dream of peeling back the layers of a city, accessing those stories, those events that remain undocumented, the happenings and thoughts that shape people's everyday experience. Using GPS technology and portable computing, generously lent by Mobile Bristol, we invited participants to wander around Alexanderplatz with fresh ears, listening to the memories, stories, thoughts and associations of the people who had trod those pavements before them, some of whom are standing there right now. 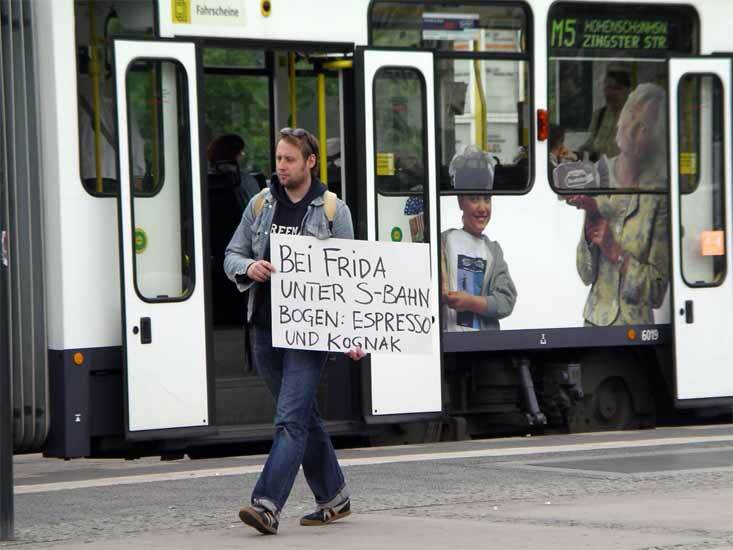 Throughout the week, we interviewed people in Alexanderplatz added each their contributions to the project. 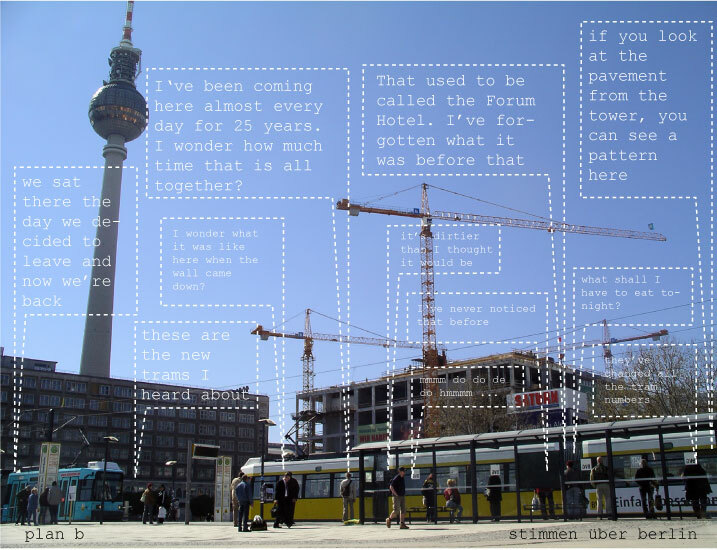 The soundscape developed and grew to become a layering of voices that floated over Alexanderplatz, adding to the Stimmen über Berlin. 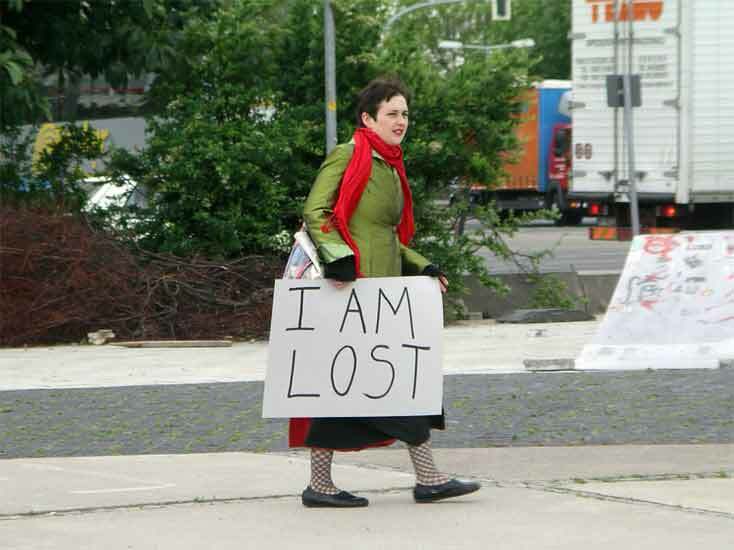 Some people's thoughts were written on large signs to illustrate the project. Thank you to all who participated. David, Hannah, Katie, Eva, Andreas, Lito, William, Nina, Nick, Miranda and Kathrin. Thank you to Stuart Martin, Constance Fleuriot and the team at Mobile Brisol for being so generous with equipment and advice.